FRANCISCO NOYA is the Music Director & Conductor of the Boston Civic Symphony, Music Director of the New Philharmonia in Newton, MA and Resident Conductor of the Rhode Island Philharmonic Orchestra. An interpreter and educator with broad musical interests, and the knowledge and temperament to explore them, Mr. Noya is on the conducting faculty at the Berklee College of Music. From 2008 to 2017, he was the Artistic Director of the Berklee Contemporary Symphony Orchestra. In that capacity, Mr. Noya led the orchestra through a repertoire that not only included masterworks from the standard symphonic repertoire but also explored the potential in collaborations involving deejays, cutting-edge technology and the symphony orchestra. Mr. Noya began his professional career in his native Venezuela as conductor of the Youth Orchestra of Valencia, one of the original ensembles of “El Sistema,” the internationally admired educational and performing program that promotes social development through music. As a charter member of the program, Mr. Noya also has held master classes for young conductors and collaborated in the training of the youth orchestras. After earning advanced degrees in composition and conducting from Boston University, Mr. Noya was appointed Assistant Conductor of the Caracas Philharmonic and Assistant to the Music Director of the Teatro Teresa Carreño, one of the most important halls in Latin America. At his return to the United States he served as Music Director of the Empire State Youth Orchestra in Albany, New York. During his 10-year tenure, Mr. Noya led the group on two European tours as well as in concerts at both Carnegie Hall in New York City and in Ozawa Hall at Tanglewood. 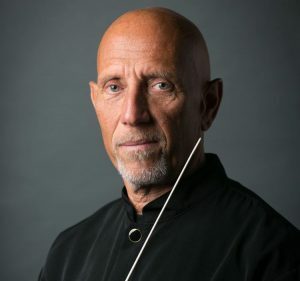 Mr. Noya has served as Music Director of the Longwood Symphony Orchestra in Boston, and Symphony By The Sea in Manchester, MA, and appeared as guest conductor of the Boston Pops, Baltimore, Nashville, San Antonio and Omaha Symphony Orchestras, among others. He has maintained a busy guest conducting schedule abroad, performing for the past five seasons with the Orquesta Académica of Teatro Colón in Buenos Aires, Argentina, as well as orchestras in Brazil, Peru, Austria, Bulgaria, Czech Republic, Spain, Italy and Russia. announce the appointment of Francisco Noya as the orchestra’s new Music Director. A prominent figure in the Boston and New England music scenes, Francisco has earned a reputation as a versatile interpreter of symphonic and operatic literature. The New Philharmonia Orchestra of MA, Inc. (New Phil), founded in 1995, is a 75 member non-professional regional orchestra based in Newton. “Music of, by and for the people” [The Boston Globe] encapsulates the spirit of the organization. The New Philharmonia Orchestra is a member of the Newton Cultural Alliance. Philharmonic fan tours to Europe, adding his musical expertise to the experience. Berklee was founded by Lawrence Berk, a veteran arranger and MIT-trained engineer, who wanted to teach contemporary music and provide practical career preparation for the working musician. His idea caught fire, and the small teaching studio grew into a sizable school, then college.